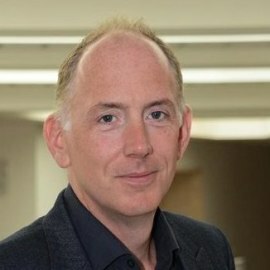 Simon is chief executive of FutureLearn, the leading social learning platform and first UK-based provider of massive open online courses (MOOCs), which has now evolved to offer fully online degrees. Simon has a background in digital disruption as a pioneer in taking media brands and content online. He spent 14 years at the BBC, where he was instrumental in putting radio online, and overseeing its podcasting service and the innovative Radio Player around the turn of the millennium. He then moved to head up all digital content activities for its television divisions where he led the development of the BBC iPlayer and other ground-breaking online products and services. After leaving the BBC, Simon led a number of digital strategy and product development projects in the TV, radio and publishing sectors, working as an advisor to companies including Random House, UKTV, Lime Pictures, United Business Media and Phaidon Press. He has won multiple awards for digital innovation and product development, including several Emmys, Webby and Bafta awards, the Prix Italia, Prix Europa and Rose D’or.